Victorian Liberal MPs have a choice before them this weekend – will they side with the community and defend renewable energy jobs and drought-proof income for farmers? Or will they put ideology first? That’s the question that community members who are passionate about renewable energy are asking. Many will be disappointed to hear that the Victorian Liberal party will consider a motion proposed by the Wannon area conference to immediately scrap the national Renewable Energy Target (RET)–a John Howard government policy–at the party’s upcoming state conference in Melbourne on the 28-29th April. Liberal Conference Motion to abolish the Renewable Energy Target (RET) and instead build a coal fired power station. Western Victoria is known as a leading exporter of food and fibre, and is increasingly known as an exporter of clean, renewable energy, with several wind projects operating and more in the pipeline. In the south-west, wind tower manufacturer Keppel Prince are the second-largest employer in Portland after the Alcoa aluminium smelter, and have supplied towers to a number of wind projects including the Ararat wind farm. As reported in the Weekly Times last year ahead of the crucial vote on Victoria’s Renewable Energy Target, there are several wind farms under construction across the state, with more than a dozen currently going through the planning process. Each of these projects represents jobs, community investment and drought-proof income for farmers. In addition to creating regional jobs and powering homes with clean energy, renewable energy projects are a key contributor to council rates. For example, wind energy projects are the largest ratepayer to the City of Ararat. Yes 2 Renewables Coordinator Pat Simons has highlighted these key concerns in a letter to the Ararat Advertiser this week, and says it’s time for Liberal MPs in the Western districts to stand up for workers and wind farmers. 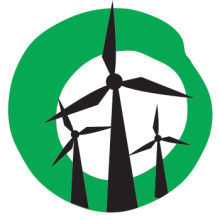 The motion would send a signal that the Liberal party is happy to put the the livelihoods of wind workers, wind farmers, and the region’s clean, green image at risk in favour of ideological games. At the same time, it’s puzzling to hear member for Polwarth Richard Riordan MP complain about wind energy on ABC Melbourne, while his parliamentary colleague Roma Britnell MP is happy to talk about the jobs that wind energy brings to her South-West Coast electorate. It’s clearly time for Victorian Liberal MPs to declare their position on this issue. Will Liberal MPs Dan Tehan and Louise Staley show leadership by stating their public support for local workers and wind farmers and working to quash the motion? Will Richard Riordan MP revisit his position on wind energy and explain what he’s doing to ensure his community gets the most benefit out of new renewable energy projects? Will Roma Britnell MP stand up for Portland wind workers in her electorate at the state conference this weekend? This is not the time for silence, it’s their chance to stand with the community. CHIP IN: Support our grassroots campaign to keep Victoria the place to be for renewable energy.